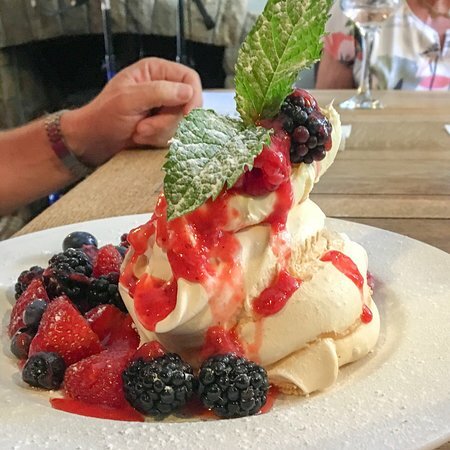 17/04/2019: Fabulous meal on our holiday in Pickering at Willowgate Bistro. Such a lot of thought has gone into this menu - we were spoilt for choice. My husband changed his mind so many times! Our food was cooked to order and absolutely delicious. We had three courses and each one cooked to perfection and presentation had the wow factor! 19/04/2019: I’ve visited this lovely little cafe many times now, and on every single occasion the food and the service have been absolutely fantastic! 16/04/2019: We always make a point of heading for this friendly coffee shop and we are never disappointed. The fruit cakes on offer are out of this world and well worth breaking the diet for! Dont leave Helmsley without calling in you wont regret it. 05/04/2019: Three weeks ago, one Saturday morning, I was looking for a special place to eat that evening. Amazingly, I found it. The Hare Inn just off the A170 not far from Sutton Bank. 02/04/2019: I am still amazed how few people know about this place hence me quest to get this on TripAdvisor. 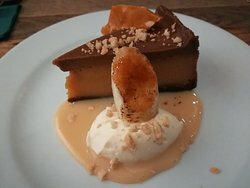 17/04/2019: This was our third visit to The New Malton and once again it was wonderful. 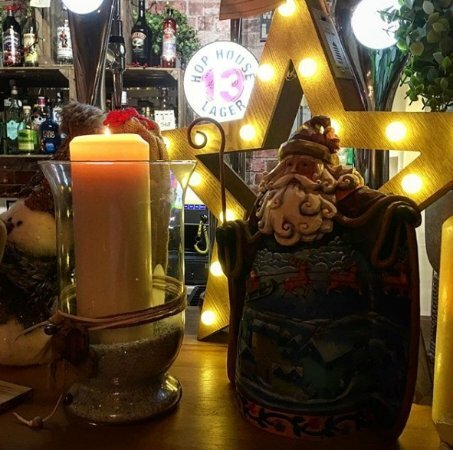 The welcoming staff are genuinely friendly and unfussy and the decor and ambience is bright and airy with vintage chairs and tables and a view out to Malton town square. 14/04/2019: There are many options to eat out in Malton, we parked on the market place which is surrounded by many small shops. The staff welcome us and we were given a nice table. 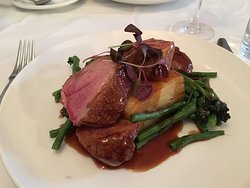 16/04/2019: Been to a number of Michelin restaurants and this is possibly my favourite. The tasting menu was perfectly sized. I often find I'm getting a bit full by the meat course but this was just right. I think the monk fish dish was the best thing I have ever eaten and as a non-drinker it was good to have an interesting choice of mocktails to choose from. On top of that a lovely laid back atmosphere and friendly service. Fabulous. 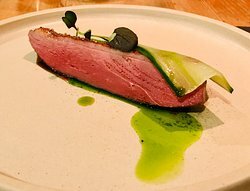 16/04/2019: We started visiting Michelin restaurants a few years ago but without mentioning any names, the last couple of experiences left us underwhelmed. 15/04/2019: We've eaten here a couple of times - the first time was all about the cake - this time it was for a light lunch. I opted for the red pepper soup, having eaten well the previous evening, and it was one of the best ever. Not only that but it came with swirls of I'm guessing balsalmic vinegar and cream, fresh herbs and croutons - and a huge chunk of homebaked (still-warm) crusty bread. It was probably half a loaf - so much for the light lunch. My wife had the smoked salmon and crayfish and my daughter the haloumi and chilli jam on sour dough and loved them. 02/04/2019: Visited for lunch on a Friday, had halloumi & roasted vegetable toastie, husband had brie & bacon toastie. Absolutely delicious food, plentiful & beautifully presented with tasty accompanying salad. Tea & Cappuccino to drink, food is freshly prepared so expect to wait accordingly, this is not a problem North Yorkshire countryside is beautiful. Thank-you we will definitely be back! 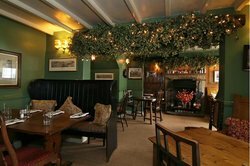 16/04/2019: just popped in for lunch, excellent food and atmosphere, imaginative specials board, great selection of beers, nothing to complain about, courtyard at the rear is fab too, a must try destination. 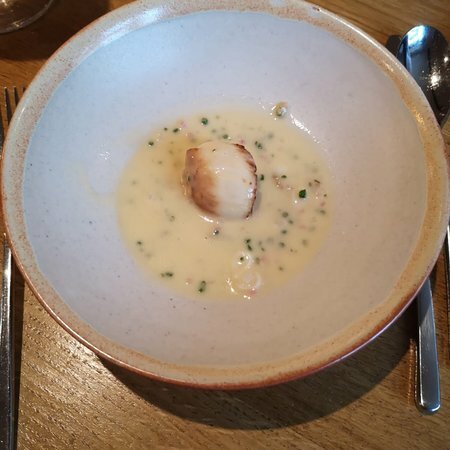 17/04/2019: We had an excellent evening meal at the Horsehoe Inn on recommendations from Eighteen 97 in Goathland. We were not disappointed, delicious food, we had 1 fish and chips and 1 pie followed by lime cheesecake. Very filling portions! The staff were very attentive and great service. Very popular so booking is advised. We will definitely return. 04/04/2019: Staying in the village so called in for an afternoon pint or two on one of the warmer days. 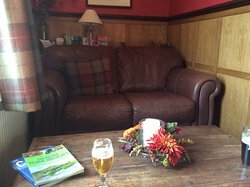 Lovely warm and welcoming fire inside but sat just outside watching the world go by enjoying the view and one of the local beers on offer. 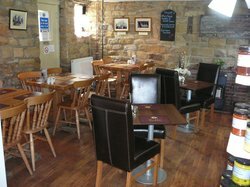 13/04/2019: Stopped for a meal after a day on the moors, I booked the table early that day which is a must as this is a very busy place. I would recommend the lamb shank it was lovely, the staff are amazing but a big thank you to Tracey. 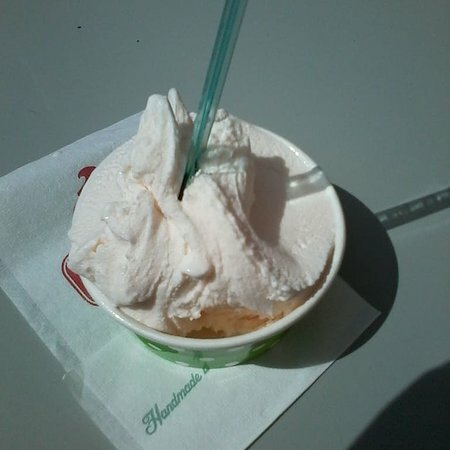 19/04/2019: Delicious soft vanilla ice cream, there was quite a queue but it was definitely worth the wait. Lovely. 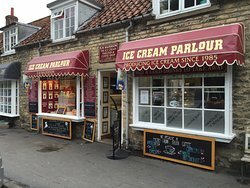 15/04/2019: We had a double tub of toffee and honeycomb ice cream from the outside parlour. As always fantastic. 10/04/2019: We came across this pub from Trip Advisor recommendations as we were desperately looking for somewhere for lunch with 3 children. They accommodated us even though the kitchen stopped serving food 15 min later. We are very grateful: the children had sausages and chips (may I add, proper meaty sausages- which they devoured). I had a roast beef “sandwich “, don’t be fooled it was huge and delicious. My husband had a duo of Yorkshire lamb which didn’t touch the sides. The staff were very pleasant. The toilets were immaculate and in general the restaurant was very clean. I can highly recommend coming here. 07/04/2019: Always fantastic food and service. Excellent quality and fantastic value for money. The portion sizes are huge make sure you are very hungry before you go. 02/04/2019: Visited with my dear friend this afternoon. Lots of different flavours of ice cream and selection of desserts. Nice seating area upstairs. I explained what I really fancied, fresh fruits with ice cream,which was a variation of their dairy free menu. They went with it and created this beautiful sundae for me. Delighted and definitely will visit again. 06/04/2019: Whilst visiting the area, the Blacksmith's arms was recommended to us by locals when we were looking for a Saturday evening meal. Very good food, generous portions at a good price. The staff and other patrons generated a very welcoming atmosphere. 01/04/2019: Visiting Lastingham Priory, we had lunch at the Blacksmith's Arms. Luckily obtaining the last table for two we had a superb lunch in cosy and warm surroundings. 13/04/2019: 4 lunches for a friends birthday. We go regularly and it was nice to see some new dishes on menu. Jake and his staff were attentive and the food was lovely as usual. 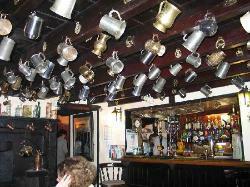 A great local pub with lovely decor and comfortable for dining or just a drink. 13/04/2019: Discovered this wonderful place by chance, but so good that we paid a second visit later in the week. Busy local Theakson’s pub with some eccentric and interesting decor. Dog friendly but leave muddy boots at the door. Excellent menu: the ham and beef salads were the best we’ve ever had in a pub. Friendly, welcoming staff. Adjoining pay and display car park to accommodate walkers, but free for those eating at The Crown. If unsure, half the ticket will get the £3 deducted from your food bill. I just wish we lived nearer. 18/04/2019: Called in for lunch on a Saturday. A warm welcome, decent beer and good food. The kids' nuggets were good quality and came with loads of homemade chips. The breakfast and scampi were also really good. The Easter eggs for the kids were a lovely touch. We'll definitely be back. 06/01/2019: Cannot fault a thing. Duncan, Marion and the rest of the team should be very proud of themselves. 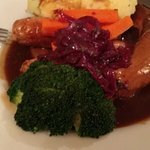 Whether it’s pie night or Sunday lunch the food is always delicious, lovely house wines, friendly staff and very welcoming, nothing is too much trouble. 5* very well deserved, be sure to book ahead.